A cuddly black cat, a high-spirited white cat and a sweet, bedraggled tabby all turned up in Helen Brown’s life at just the right time. “Each cat really was a healer for me and my family,” the New Zealand-born writer tells Jesse Mulligan. In 1983, Helen’s nine-year-old son Sam was killed by a car on a Wellington road. Before his death, Sam had become entranced with a little runt kitten, Helen says. Sam’s brother Rob instantly recognised the cat. Not that Helen regretted it. She also brought comfort to a traumatised Rob, Helen says. 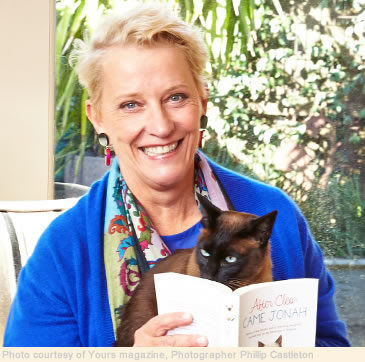 Helen’s 2009 book Cleo: how a small black cat helped heal a family has sold more than 2 million copies and been translated into 18 languages. Cleo lived for many years, but when she died for a while there was no feline presence in the family home. Later when Helen was convalescing from breast cancer treatment, the next cat appeared. Helen’s sister – who was staying with her while she recovered – told her that she’d seen something Helen might like, but would say no more. With her curiosity piqued, Helen went outside with her sister. Jonah was quite a character and a little destructive, but Helen fell for him. Helen’s book about him After Cleo, Came Jonah was published in 2012. A little later Helen says she had something of a personal identity crisis that ended up with her living in a “dive” in Manhattan. “We’d been married 22 years, the kids had all left home and I went through this very weird phase. Rather than a remote island, Helen chose the Big Apple to rediscover herself. In New York City, another cat entered the story. Animal shelters in New York are pretty bleak – places of “death and fear” – Helen says. When she arrived, the shelter volunteer was delighted, and spotting a peaceful, dozing tabby Helen was – temporarily – relieved. Bono, who had washed up in Long Island after Hurricane Sandy, was in bad shape with long, matted, flea-ridden hair. To deal with the fleas, Bono had been put under a general anaesthetic and had part of his fur shaved off which had given him a “crazy, punk look”. He also had advanced kidney failure, so wasn’t going to be around for long. So back to Helen’s midtown Manhattan apartment Bono went. Bono’s joyful acceptance of life was an inspiration, she says. She set about trying to find a home for Bono by blogging about his plight on the Huffington Post. These blog posts later became the new book Bono: the rescue cat who helped me find my way home. 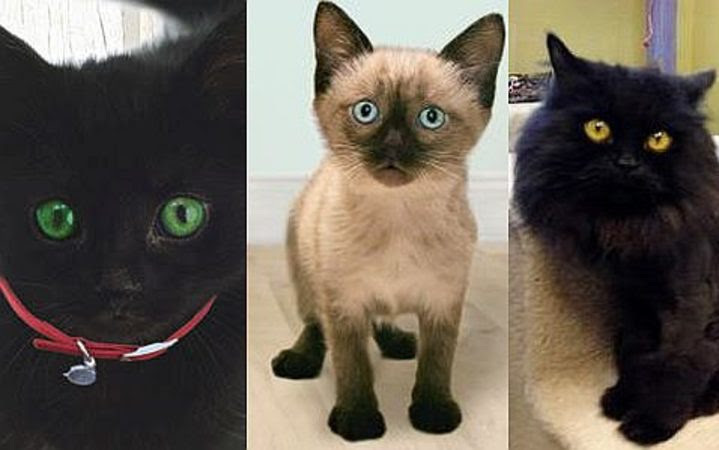 A film adaptation of Cleo: how a small black cat helped heal a family is now in development. Filming in Wellington and Auckland is scheduled to begin later this year.